BEASY’s Fracture Simulation tools provide engineers with the ability to quickly solve 3D fracture models in support of damage tolerance analysis and structural integrity assessment. BEASY's Fracture Simulation software is based on advanced fracture mechanics principles and represents a radically improved approach to computational fracture analysis. BEASY's fracture simulation methodology provides more accurate solutions for those needing to make critical life extension decisions or to determine if an asset can continue to operate safely under existing service loading conditions. Fracture is the primary threat to the integrity, safety, and performance of nearly all highly stressed mechanical structures. BEASY can be used for assessing the impact of fractures and similar material damage such as corrosion pits using the principles of fracture mechanics. BEASY is a powerful tool used in industry for both fracture control applications where engineered designs focus on preventing crack propagation and damage tolerance applications which focus on assessing the remaining structural life of in service components. BEASY's Fatigue and Crack Growth software is widely used to investigate the structural integrity of aging assets including military and domestic aircraft and a wide range of infrastructure related applications. BEASY uses a powerful boundary element solver to determine the stress field near the crack front. This information is then used with a J-integral formulation to predict the stress intensity factors representative of the particular crack morphology. BEASY's unique approach provides mixed mode stress intensity factor data (KI, KII, KIII) so that engineers are not restricted to simple Mode 1 tensile loading common in most other fracture mechanics software. BEASY can calculate SIFs under complex loading and accounts for not only the tensile fracture mode but also the shear and tearing modes as well. BEASY can be used to analyze non-planar and arbitrary crack shapes; a powerful feature for those working in the area of structural integrity analysis. BEASY's fracture simulation technology provides answers to complex material damage problems where cracks initiate a critical structural connections. A full 3D analysis of the actual crack morphology under realistic operational loads eliminates the need to make simplifying assumptions common with standard fracture mechanics assessment methods. When the root cause of failure is unknown BEASY's range of software tools can help identify the critical crack size (K < Kth) for a particular component and loading condition. 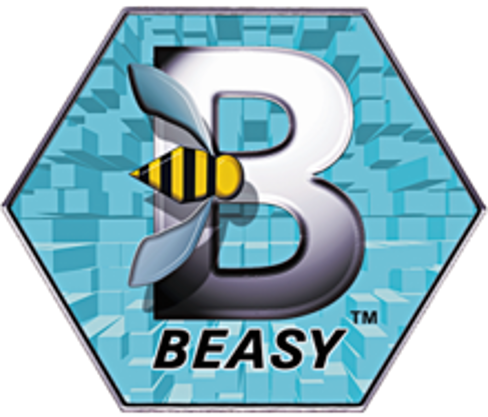 For example BEASY has been used to investigate cracks found during routine inspection of a hatch cover. The cracks were discovered at a large dowel pin hole and one of the threaded bolt connections. The cause of the cracking was unknown and it was necessary to determine if it was a design issue, fabrication related, or due to in-service loading. A detailed model was created which included the threaded bolt holes, bolt prestress loads, and the dowel pin contact to determine the stress intensity factor (SIF) for a corner crack located at the edge of the bolt hole. BEASY was able to predict the stress intensity factors for the initial design for a range of initial flaw sizes. 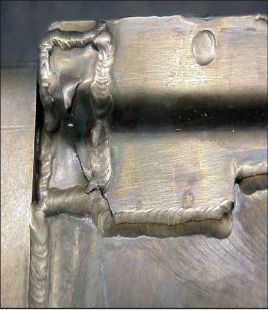 The analysis was helpful in determining that the root cause of cracking was due to stress corrosion; a process that was likely exacerbated because of metal sensitivity related to fabrication related welding. Stress intensity factor (SIF) data obtained from handbook type tabulated solutions is often used as input into failure assessment diagram (FAD) calculations. However this stress intensity factor data is often limited to simple geometry and loading which compromises the accuracy of the analysis. As a result there is unnecessary uncertainty introduced into the repair or retrofit design and questions of safety or overly conservative design still linger. BEASY's fracture analysis tools enable stress intensity data to be obtained for any fracture scenario discovered in the real part geometry without any simplifying assumptions. 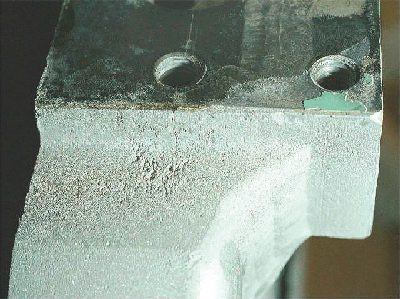 Pitting corrosion damage can also be accurately assessed using BEASY's unique surface modeling methodology. The actual corroded pit morphology and the interaction between these damage sites can be analyzed to support Level 3 FFS practices. 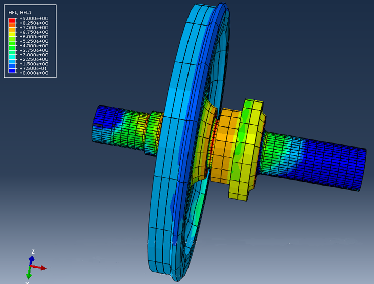 Using this advanced analytical capability builds more confidence in assessing the structural integrity of components operating under in-service loads and can help improve asset management strategies. The predictive capability of computational fracture mechanics is a powerful advantage to the owner or operator of a critical asset. 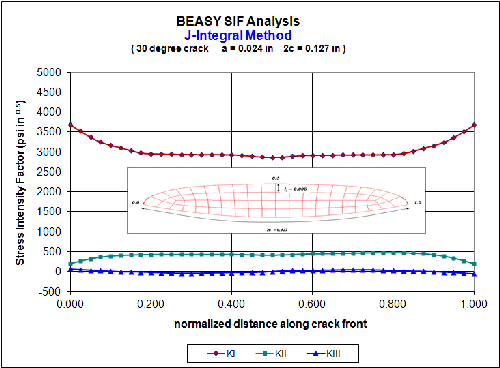 BEASY's fracture software provides data on critical crack sizes and crack growth rates. Knowledge of both of these quantities represents critical input parameters for any inspection or maintenance planning program. It is often important to know when an asset should be removed from service or to better understand when operating loads should be reduced temporarily to facilitate a repair program. Ultimately there is a direct cost benefit associated with a properly design inspection and maintenance program not to mention the ultimate goal; availability of the asset for service. 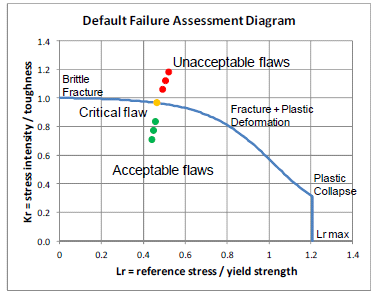 The BEASY Defect Scanner creates a “map” of critical crack sizes on a model using results from either a BEASY model, or an FE stress model (ABAQUS, ANSYS or NASTRAN), in order to identify ‘critical’ locations. The smallest critical crack sizes shown on the map enable users to clearly identify the areas of greatest concern for that component and provide inputs into maintenance and inspection planning. The critical crack sizes are computed using the stress values, and the critical crack size at any point is the crack size where the Stress Intensity Factor (SIF) value reaches a specified value. This value can be the threshold Stress Intensity Factor if the criteria is the minimum size at which cracks may start growing; or the critical SIF value in order to determine the size of crack that will cause part of the structure to fracture. Please note that by submitting this form you are giving us permission to store the details you have entered above in our database system. We will use this data to add you to our mailing list to receive the monthly BEASY e-newsletters you have selected. You can remove yourself from the e-newsletter mailing list at anytime by choosing the opt-out feature on the e-newsletter. We may also send you literature about BEASY via postal mailings and any other BEASY information and announcements which we think you will find of interest. We will not pass your details on to any 3rd party organisations.